This morning, like any other, the FemGeniuses got ready for a day of class. Some of us ate breakfast at the apartment while others went to a bakery to get fresh goods. This time, we were going to have a session with “mother, activist, writer, and editor” (in that order) Sharon Dodua Otoo. 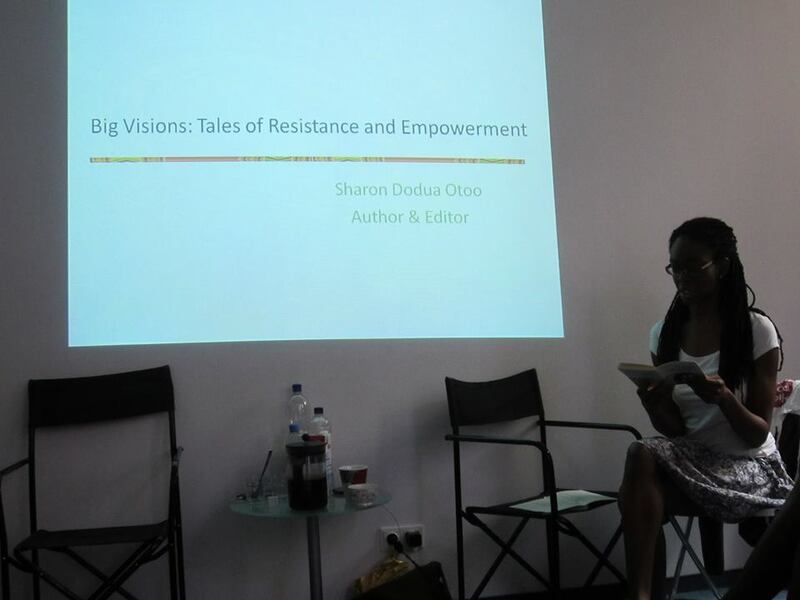 Before this session, we read excerpts from her book The Little Book of Big Visions: How to Be an Artist and Revolutionize the World (co-edited with Sandrine Micossé-Aikins for the Witnessed series),which is an edited collection of essays written by Black artists in Germany. Otoo and Micossé-Aikins also present their ideals of equality in the form of images and text. This book is for those with an interest in transforming the current art scene in Germany and who want another perspective on contemporary art. I highly recommend people reading this to take a look at Otoo’s work. We started with our usual introductions, and then it was Sharon’s turn to introduce herself. However, before she did that, she read a passage of her interestingly titled novella, the things i am thinking while smiling politely, in which she discusses the importance of names and what her surname means to her, her family, and her communities. She then told us that she considers herself, above everything, a mother. This led her to speak about the experiences her children have had at school and how, from a very early age, they learned how to defend themselves against racism. She told us that this makes her really proud, because this shows that her sons know what the problem is and who’s problem it is, meaning that racism is the responsibility of racists and not the victims. She really hopes for other children to be able to defend their selves just as her sons, but she also hopes that eventually society changes and children do not have to go through these experiences. Sharon uses such personal examples in her work in order for her audience to relate to her and become inspired. She went on to tell us about Witnessed, which she founded. 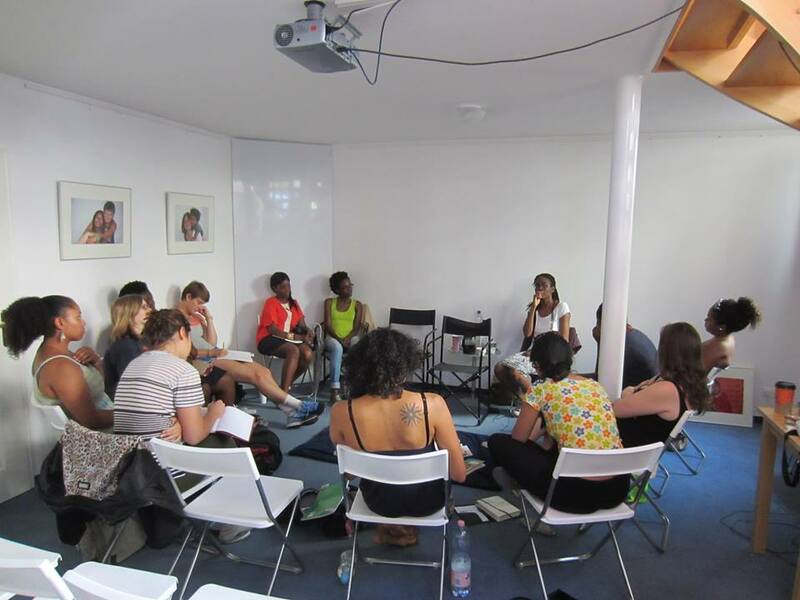 She told us how this project provides a safe space for Black men and women who would like to share their stories. These artists can express themselves in the form of novels, short stories, biographies, and the like. She mentioned how so many Black German stories, books, movies, and more are out there but are unfortunately not being seen or read. 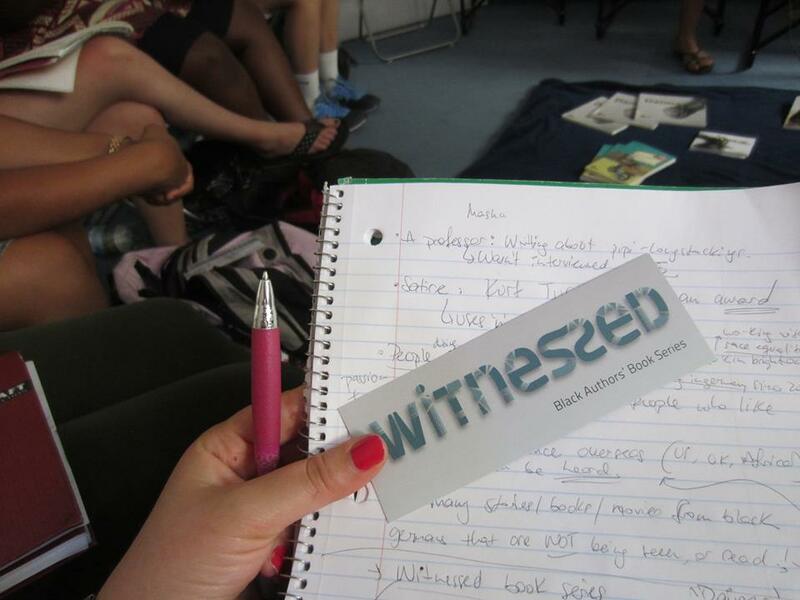 Thus, she created Witnessed to allow for unique perspectives from a group of people with multiple identities to be made available to the public. In order for these works to be widely appreciated, she is attempting to distribute her work transnationally, such as in the U.S., U.K. and countries in Africa. For this reason, this is an English-language series (also her first language), but some texts are available in German. By targeting other countries, she hopes people will start discussing these texts and the issues they examine so that they eventually make their way back to Germany to inspire discussion here. She calls this “the back door method,” because she feels that if these issues are talked about in the countries, there will be pressure in Germany from the outside to support anti-racism. Although she finds it hard to distribute these works overseas, she still makes the worthwhile effort. She even told us that she is aiming to publish one book every six months! One book that has moved a large audience is Nzitu Mawakha’s Daima. 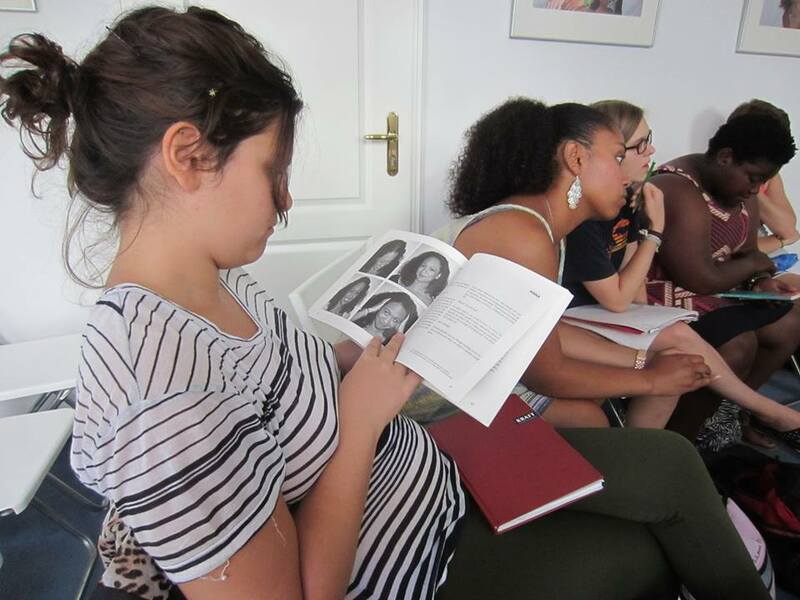 This is a book that contains photos of Black women, and each woman was also asked to write a text expressing their thoughts about what it is like to be a Black woman living in Germany. The diversity of thoughts and experiences is probably why so many Black women reading it may relate to and be inspired by the text. Daima also features questions posed by the women in the pictures, which provides an interesting dynamic between them and the audience. These women are often asked questions concerning their identity and are now given a chance to ask questions to those who usually do the interrogating. Sharon also told us that Daima has garnered the most responses from readers and that she has received many “thank you” messages, as well as accounts of how good this book makes readers feel. Meeting Sharon was very empowering. Her talk was not only very thought-provoking and motivating, but it also reminded us of the importance of self-expression through art. Writing is such a powerful tool, especially if writers are able to inspire and help others. The Witnessedseries, then, is very significant for both the artists telling these stories and for the audiences reading them. 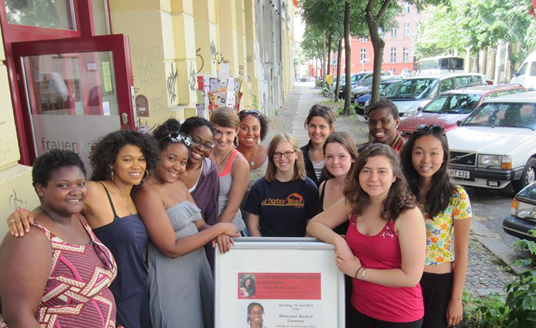 I hope, just like Sharon, that more projects like Witnessed will be created in order to successfully allow for Black German voices to be heard and that they eventually help to affect change in society. Ximena is an international student at Colorado College who originally hails from Peru. 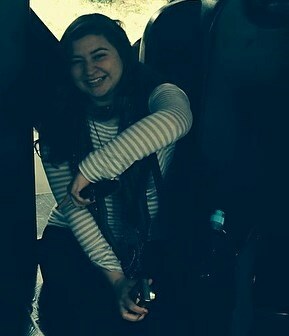 Next year, she will be a sophomore, and is currently considering a major in Anthropology or Sociology. She is very excited to be in Berlin taking a course with Heidi and through CC, because it has, so far, allowed for a unique learning experience.